Bryan started at UW-Green Bay on August 26, 2013, as an Assistant Professor, Information and Computing Science. 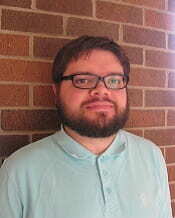 Bryan served previously as a graduate assistant with the University of Oklahoma’s Gaylord College of Journalism and Mass Communication, where for three years he taught courses in audio production and race, gender, and the media, and created his own course called survey of gaming and interactive media. He studied broadcast and cinematic arts, and political science in earning his bachelor’s from Central Michigan University, where he also earned his master’s in Electronic Media Management. His Ph.D. is from the University of Oklahoma. He is originally from Alpena, Michigan.